Enter your name and email address to download the eBook now. 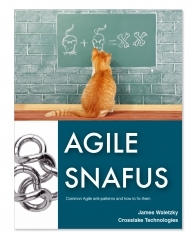 Download this eBook to learn what frequently goes wrong with Agile adoption. Learn how to set you and your team up for success from the start. If your organization is attempting Agile development but not having the success you expected, this eBook helps you make the necessary course corrections and deliver the results you desire.